There’s something unbelievably exhilarating about parting with that hard earned money in exchange for fantastic technology-based products and accessories. Regardless of social position, income, race, gender or religion, everyone simply loves to peruse offers and buy themselves something new. 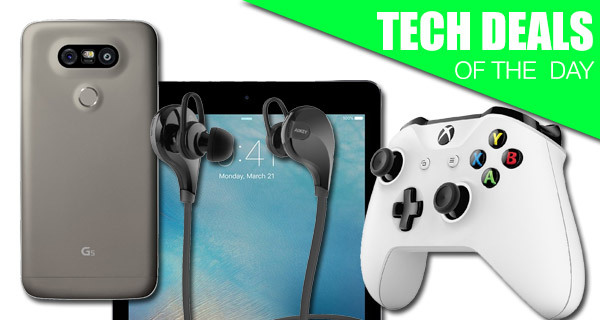 Check out these fantastic deals from our today’s ‘tech deals of the day’ package to see if there’s anything that immediately catches your eye. Breaking it down, we have the latest iPad Pro 9.7-inch which brings the best of the 12.9-inch iPad Pro power to a size which is more convenient for most users. 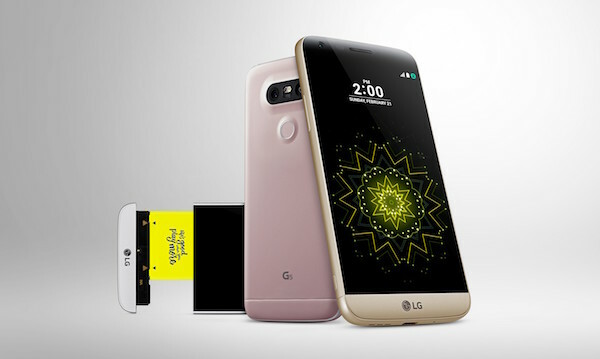 If a smartphone is what you’re looking for, there’s the one-of-a-kind 2016-flagship LG G5 with its modular goodness. 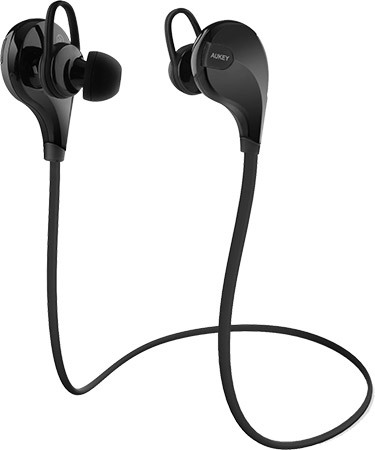 There’s also a pair of Bluetooth wireless earbuds from AUKEY to keep you jogging that extra mile. 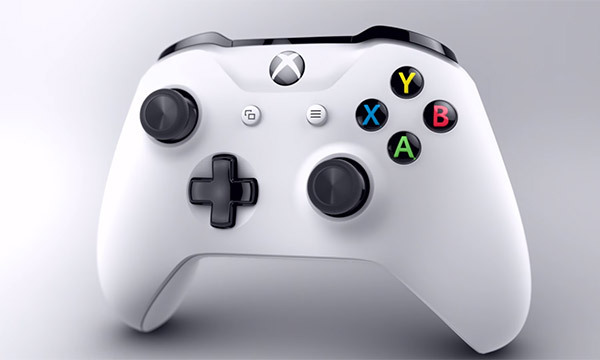 Last but not the least, you don’t often find an Xbox Wireless Controller on discount, and that too in white, but that’s exactly what you can grab right now. Be sure to act fast as these deals usually expire after a day or till stocks last. Ready? If you’ve been looking for an iPad Pro, and simply need to stay away from Apple’s enormous dinner plate-sized tablet, then discounts on the fantastic 9.7-inch model are likely very appealing. This Wi-Fi-only Space Gray model comes with 32GB of internal storage, and is, of course, this year’s model as it was only released during 2016. 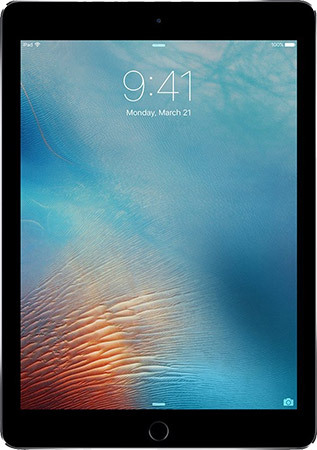 There’s a Retina HD display, the latest version of iOS, and up to 10 hours of battery life. What’s not to love? This is the multi-versatile, stunning and wireless controller than you need to enjoy all of your gaming activities. There was a time when you’d purchased an Xbox controller and you could use it with your Xbox only. That is no longer. Microsoft’s latest Xbox Wireless Controller is not only super versatile in terms of setup and functionality, but it also offers Xbox One, the latest Xbox One S and Windows 10 support. It’s unbelievably easy to get caught up in the hype that suggests that you need to spend a fortune on headphones if you are looking for something that’s wireless and comfortable to wear. You can go down the Bose or Beats route and spends hundreds of dollars. Or you can keep some of the cash in your pocket and grab something like these excellent AUKEY Bluetooth earbuds that offer fantastic sound quality in an extremely lightweight package. Make sure you use the following promo code at checkout to grab the earbuds for just $10: EARBUDS5. If it’s time for a new smartphone, whether as a primary device or just one for business or occasional use, then the LG G5 2016-flagship could be the solution you’ve been seeking. This is not only a really performant and excellent Android device, but it also comes with what LG calls a transformative design, meaning that certain parts are modular and can be changed at will. This particular version is also unlocked for all network use, and offers 32GB of internal storage.